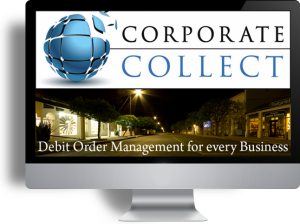 Corporate Collect is the leading debit order system in South Africa, servicing South African businesses with automated debit order collections. Rated as one of the best debit order companies in South Africa, and well known for its professional support and assistance on all debit order queries. Capture clients individually or import from a file. All your data available 24/7. Collect a fixed amount each month or collect against an outstanding balance. Full reports to show the status of your collections.